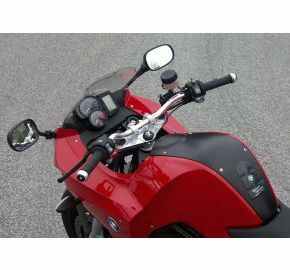 So, you love the look and performance of your sportbike but have grown tired of aching back and arms? LSL has the answer for you! 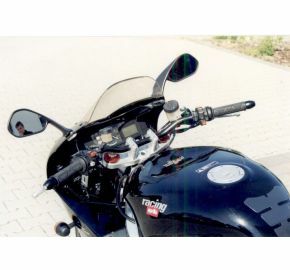 Utilizing the same craftsmanship and quality materials you have come to expect from a top German manufacturer, LSL has developed handlebar conversion kits for nearly all popular sport bikes. LSL is raising the bar! Most kits include new top triple clamp or adapter, handlebar, and Spiegler's patented stainless steel braided brake lines. 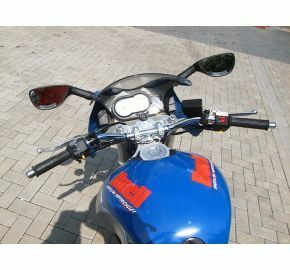 Kits which require them also contain items like clutch lines or cables, mirror stays and other necessary accessories. 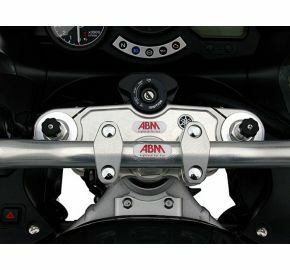 LSL handlebar conversion kits include silver bars, and clear coated brake lines with silver anodized aluminum fittings (when applicable). The kits can be customized to individual tastes by ordering them with color anodized bars or color coordinated brake lines for an additional charge. 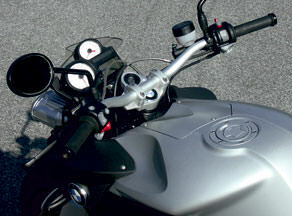 Attention: Current generation sportbikes have very tight clearances in the handlebar pocket of the fairing. 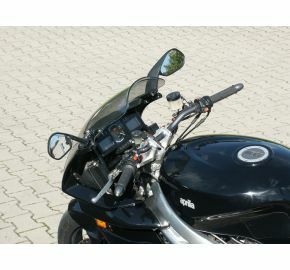 Modifications to the windshield and/or fairing may be necessary for proper mounting of these kits. 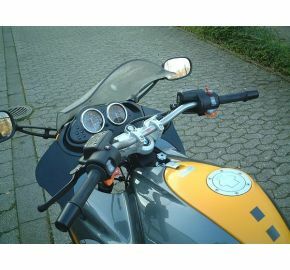 LSL handlebar conversion kits are TÜV approved, and have been demonstrated to mount and work properly in the form that they arrive. 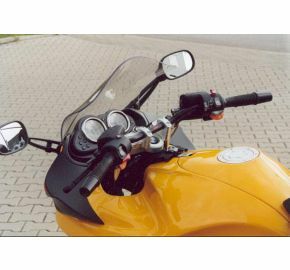 See our videos below that demonstrates the difference in seating position when comparing the standard clip ons to the handlebar conversion kits.